Is it just me or is this winter feeling particularly blah now that all the Christmas lights have come down? What I wouldn’t give to see some glorious colour outdoors again. Perhaps that’s why Canadians love Northern Cardinals so much. They are one of the only bright birds that stick around through our harsh Canadian winters. And these vivid crimson creatures are such a welcome sight amidst the grey days. So how do you attract them to your home? Well, I’ll tell you this much, they’re not going to just show up. They need to be properly invited. Offer them a place to hide. With bright red feathers and a muted surrounding, you’d want a safe haven where you could be well hidden too. 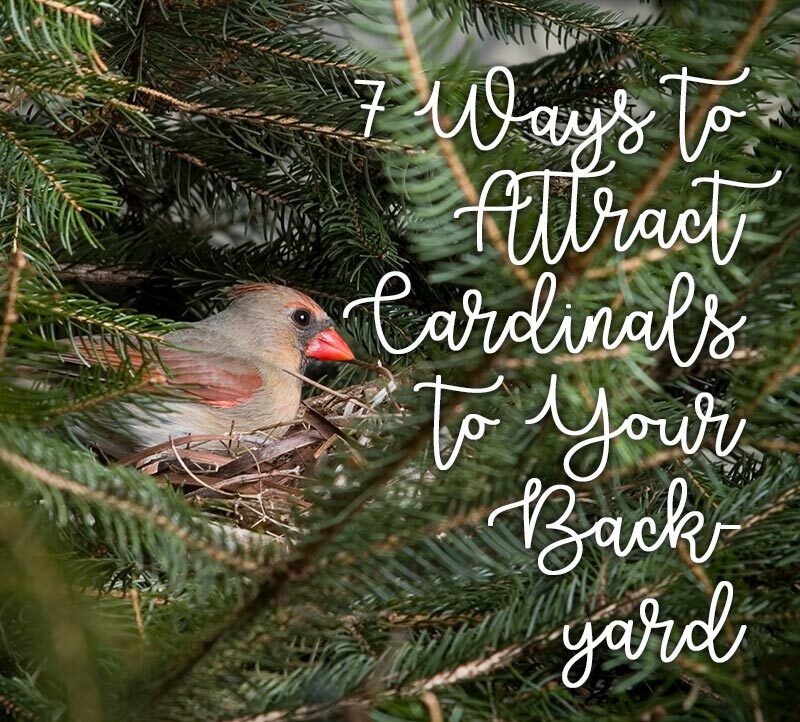 Cardinals opt for the thick cover of coniferous trees (like pines and spruces) and shrubs to hide away from potential predators and rest throughout the winter months. 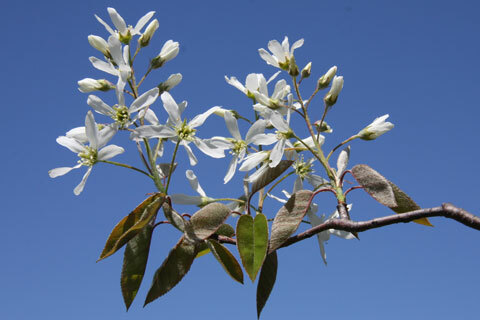 They’ll flit from tree to tree to look for food, so offering evergreens and shrubs of different heights is important. Their curved beaks allow them to break open seeds easily, while their powerful jaws find opening larger seeds quite simple. So don’t shy away from offering them larger seeds like safflower, sunflower and even peanut pieces. They’ll gladly feast on them. Those tiny vertical feeders might be hard for Northern Cardinals to latch onto. They much prefer steady, heavy feeders that will hold their weight. Give them a spot to nest. Cardinals switch up their nesting spots frequently. They’ll raise their first clutch in dense coniferous trees in April or May. But they very well may abandon the spot a few weeks later when they have another clutch. And so having a variety of thick shrubs and evergreen trees is important to satisfy the nesting needs of cardinals. Give them a head start on their nesting needs. You could put out the most elaborative and beautiful bird houses and cardinals will always scoff at it and build a nesting spot for themselves. They’re a DIY backyard bird! So if you really want to help them, I’d recommend providing nesting materials. You can use an empty suet feeder or even place materials on their platform feeders. Offer up pine needles, blades of grass, dog fur and twigs, and these birds will happily accept. They may even choose to build their nest close by! Did you know that the bright red plumage that male Northern Cardinals don get that way from the carotenoid pigments found in red fruit? Chowing down on red berries helps males grow even brighter feathers which in turn helps him to attract mates. That said, cardinals are really after the seeds in fruits. That’s right, they’ll toss most of the fruit’s flesh and go straight for the seeds. When you’re on the hunt for an ideal fruit-bearing plant for cardinals, think serviceberry, winterberry, sumac and dogwood. If you’d like to help the next generation of cardinals out, plant a butterfly garden. Cardinals feed their young caterpillars to help them grow. And the parents themselves also snack on insects during the breeding season. Look for butterfly-friendly plants such as aster, dogbane, fleabane, goldenrod, milkweed, coneflowers, black-eyed Susan and lupine.